The MareCet Research Organisation is a non-profit, non-governmental organisation established in 2012 committed to increasing scientific knowledge, implementing conservation actions, strengthening policies, and generating awareness on marine mammals and the greater marine environment. A brainchild of Dr. Louisa Ponnampalam and Fairul Izmal Jamal Hisne, MareCet is first and only non-profit, non-governmental organisation solely dedicated to the research and conservation of marine mammals in Malaysia. The name MareCet (pronounced ma-rei-set) is derived from the combination of the words Mare and Cetacean. The word Mare is from the Latin language that carries the meaning, ocean, while Cetacean is the scientific grouping of whales, dolphins and porpoises. 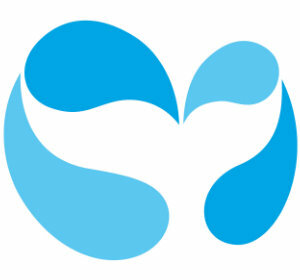 By combining the two words into MareCet (with Cet being a shortened form of Cetacean), the name signifies the two main focus of the organisation: (1) The ocean, in general and (2) marine mammals, in particular. It is envisioned that in the long-term, the Organisation will be a center where various parties are able to study, conduct research, and receive training in various aspects connected to the two main focus areas of the Organisation. The aim is for MareCet to be more than just an organisation of like-minded people, but a centre of excellence for the continuous development in the field of marine sciences, particularly marine mammal science, in the future. To be the leading organisation in the Southeast Asian region involved in marine mammal research and conservation. To increase scientific knowledge on marine mammals in the region and to improve the understanding of and appreciation for the marine environment amongst the general public.